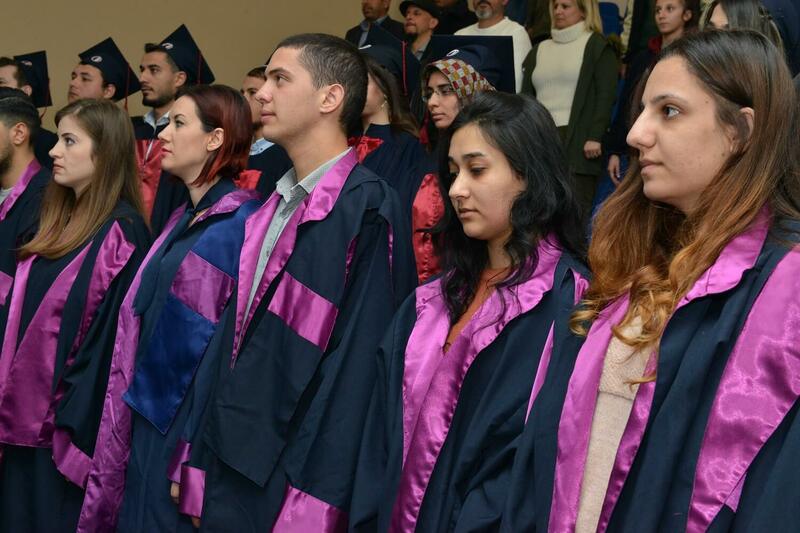 The graduation ceremony of the Near East University Faculty of Health Sciences of the Fall Term of the Academic Year 2018-2019 was realised at the İrfan Günsel Congress Centre. 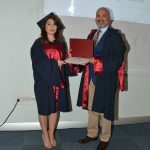 According to the press release issued by the Directorate of Press and Public Relations of Near East University, Vice Rector of Near East University, Prof. Dr. Tamer Şanlıdağ, Founding Dean of NEU Faculty of Health Sciences Prof. Dr. Sevinç Yücecan, academicians, students and guests attended the graduation ceremony wgich was held at the İrfan Günsel Congress Centre. It was stated that the ceremony commenced with the entry ceremony of the graduands to the hall, followed by a minute’s silence and the national anthem. Subsequent to the speeches made by the protocol, the graduands completing their studies with high honours were presented their plaques. This was followed by awarding the graduands their diplomas and finally the taking of the vocational oath. 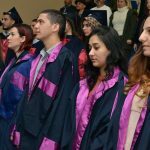 Making a speech, Founding Dean of the Faculty of Health Sciences of Near East University, told the graduates that they were graduating from a university which was progressing quickly to becoming a 4th generation university and constantly achieving success. Prof. Dr. Sevinç Yücecan continued by thanking each faculty member for their meticulous hard work and all their attainments. 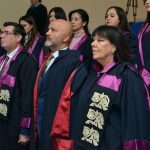 She addressed the graduates as her colleagues and asked them to trust themselves and fulfil their responsibilities in the best way without ever losing faith. 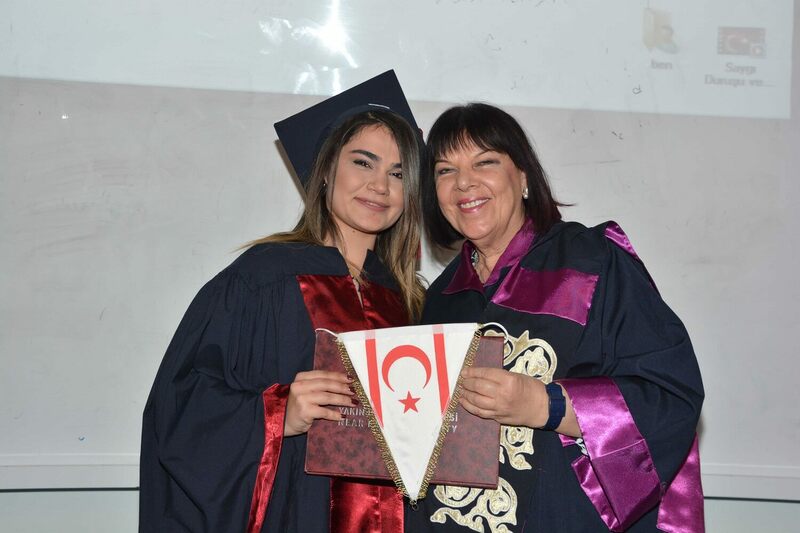 She added that she was sure each graduate would be progressing in accordance with the principles of great leader Atatürk and make a mark with each endeavour. 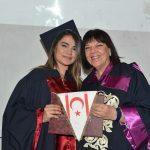 Prof. Dr. Sevinç Yücecan continued by stating that while the graduates were practicing their profession, they would be assisting them with their knowledge and experiences through every step they take. She also addressed the families of the graduands and said that they have made a lot of efforts to see this day and that she appreciated their pride and sincerity. Vice Rector of Near East University, Prof. Dr. Tamer Şanlıdağ stated that starting from 2019, Near East University progressed in becoming a model of 4th generation university. He added that the quality in education was accomplished through R & D and by prioritising innovation. He assured that due to the decision made this year, they would be making each academic study into a product in industry. 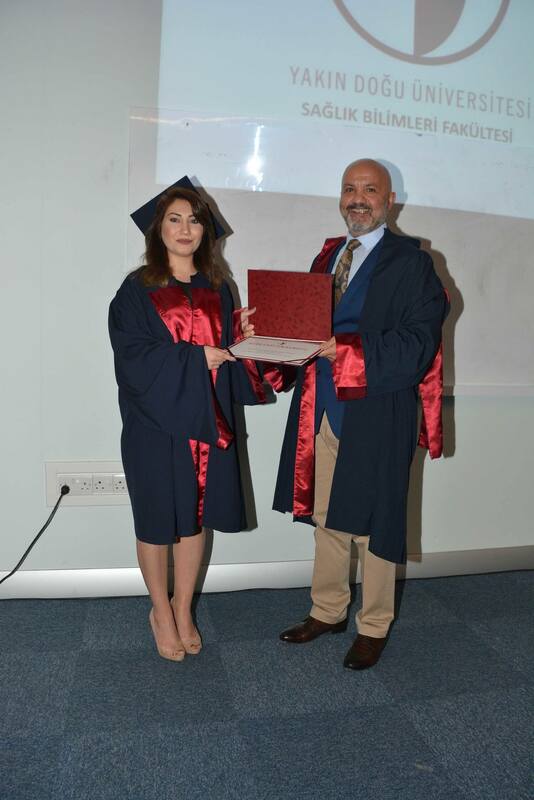 Prof. Dr. Şanlıdağ added that they strongly believed that the Near East University will be among the universities which are considered to be academically esteemed due to quality in education and emphasised that they were working hard to be among the best universities in the world; in fact be among the first 500 universities and achieve sustained success. In addition to the above, Prof. Dr. Tamer Şanlıdağ stated that with the 19 facultes of the Near East University, it was currently ahead of most state universities in Turkey. He also pointed out that more than 1200 publications were made by the Near East University academicians, in journals scanned by Web of Science and Scopus; positioning the NEU within the first five universities in Turkey. He emphasised that according to the research carried out by American origin Freedom House, Cyprus was found to be among the freest countries in the world. Prof. Dr. Tamer Şanlıdağ ended his words by stating that they were continuing to offer higher education in a safe and human rights valued country. It was stated that subsequent to the speeches, the high honour graduands of the department were presented plaques. 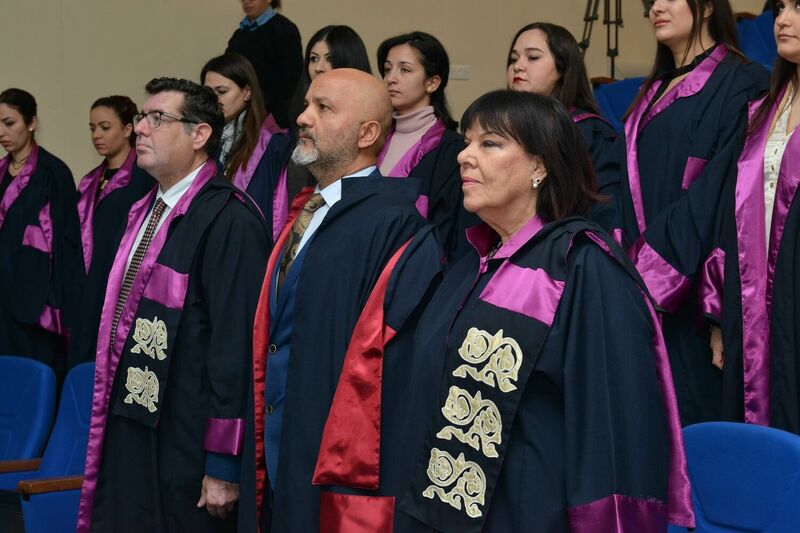 Then the diplomas were awarded and that the graduation ceremony ended with the taking of the vocational oath and the throwing of the graduation cap.